Movie watching has always been a passion with us, particularly anywhere in India, ever since the discovery of motion pictures. This passion has always been independent of the conditions of the movie theaters or the environment of viewing. All of the cinema halls in India were single screen till about two decades back when multiplexes and malls came up in the major cities. In the small towns cinema halls or movie theaters were abysmal—people smoked and spat inside; they talked and roared with laughter anytime; seats were congested and there was an acute problem of craning necks; there was no air-conditioning and the wall or ceiling fans made it all the more noisier; no lounges outside, only holes around and most of the theaters looked like warehouses. However, we never complained about the lack of such amenities, mostly because we had no access to better environment to compare with. Of course, in the metros or in the major cities the theaters were much better, and once in a while we enjoyed a day out in the nearby big city watching a movie. Further, the ticket rates were damn cheap even after considering the value of money those days. Black marketing of tickets for super hit movies was also rampant. On many an occasion we got obsessed with certain Bollywood (read Hindi) movies, and failing to watch those caused us great distress. Such scenario still exists in the semi-urban and the rural belt of India where better amenities cannot normally come about because of the fact that local people never want to pay more for watching their favorite movies. Single screen theaters exist also in the metros and major cities even after the conversion of most of them to shopping malls. We remember the quintessential cycle rickshaw armed with a loudspeaker and fully covered with colorful posters moving around the roads and lanes of the small town advertising the release of a movie every Friday in the sole cinema hall there. 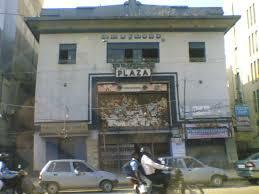 Once in a semi-urban area in a state of India the first ever cinema hall was to have its first show. As it happened we went for that very show. A huge crowd with tickets waited eagerly for the main door of the theater to open. The moment it was opened people rushed towards it trying to enter falling over each other. The knowing ones like us smiled thinking, ‘Why rush, pals! All of you have genuine tickets and you have the right to watch the movie!’ Such was the spirit of going for a film. The ticket counters were normally all concrete affairs with a hole to push in your hand and another hole above to communicate. In the first few days after the release of a blockbuster there used to be huge queues. Sometimes not willing to wait longer we joined the queues. Black marketers of tickets used to climb over us on the side railings and push in their hands forcibly for bulk tickets. Everybody took that as normal and maybe the counter managers were in league with them. Because of their steals most of the times we failed to get tickets, and still not willing to say quits we followed them around to bargain out a reasonable deal. Advance booking queues were even worse and that too for a very short time. Some cinema halls allowed ladies to come by the side and push in their hands alternately with the queuing males. Once I pushed my hand in through the hole when it was actually the turn of the ladies. The counter manage was indeed very smart—he was able to recognize even my much younger hand and roughly pushed it out! Whatever be the conditions, those days it was immensely enjoyable to take maximum pains to watch a movie. Besides, that time there were not many choices for entertainment with no television or cable channels, and therefore, going out for the movie theater was always a special and yet the usual occasion. Whenever guests came to stay with us we the children always tried to persuade them to take us to the movies. And, more often they obliged! The scenario has changed a lot over the last few years in the metros or the big cities and in some smaller towns too. Movie going nowadays is more of a consumer activity. 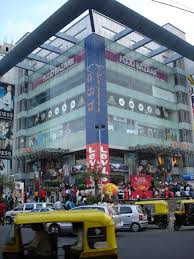 The advantage of the multiplexes or the super malls is that even the most affluent classes now come to the theatres to watch movies along with consuming a whole lot of packaged eatables. It has also become a costly affair that needs careful planning for normal viewers. As we mentioned earlier movie fans in various towns and cities of India still resist the changeover and prefer to flock to the existing single screen halls to enjoy at much cheaper ticket prices. The charms of movie-going in the olden days linger on still...!